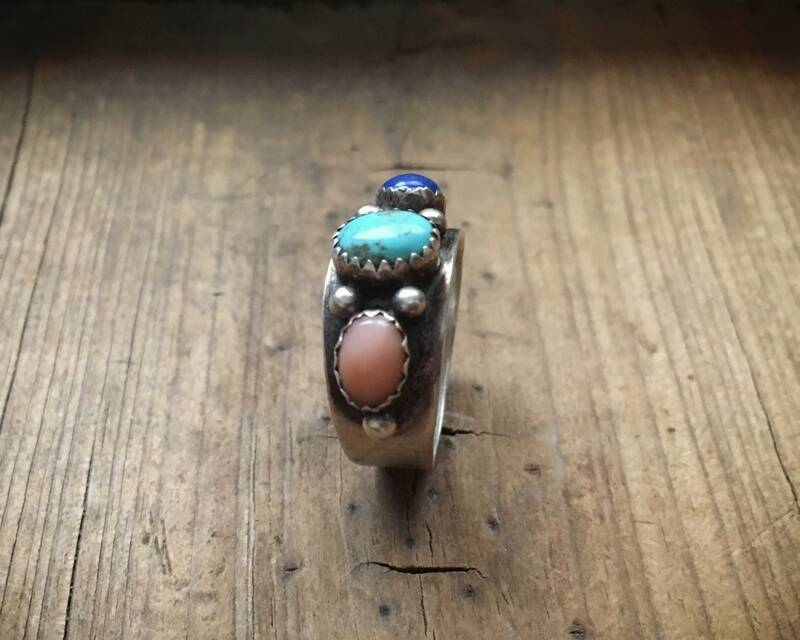 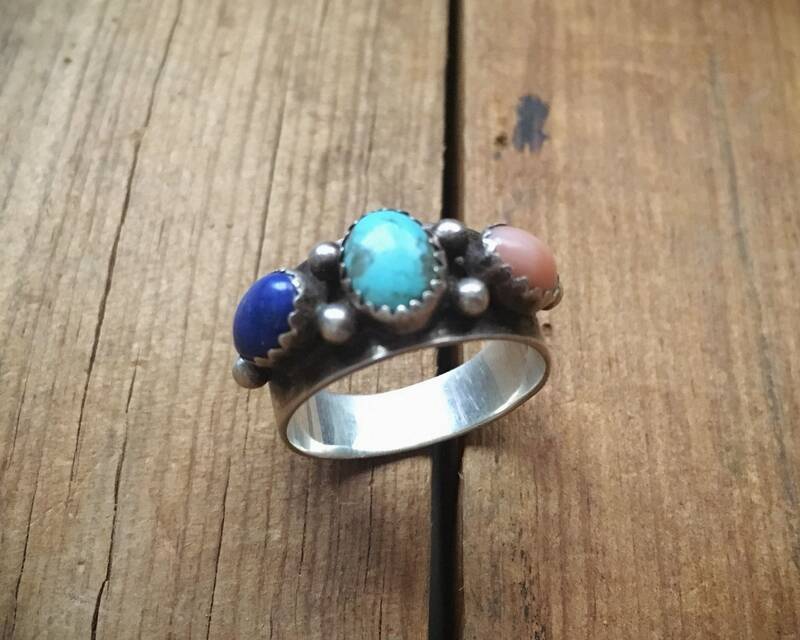 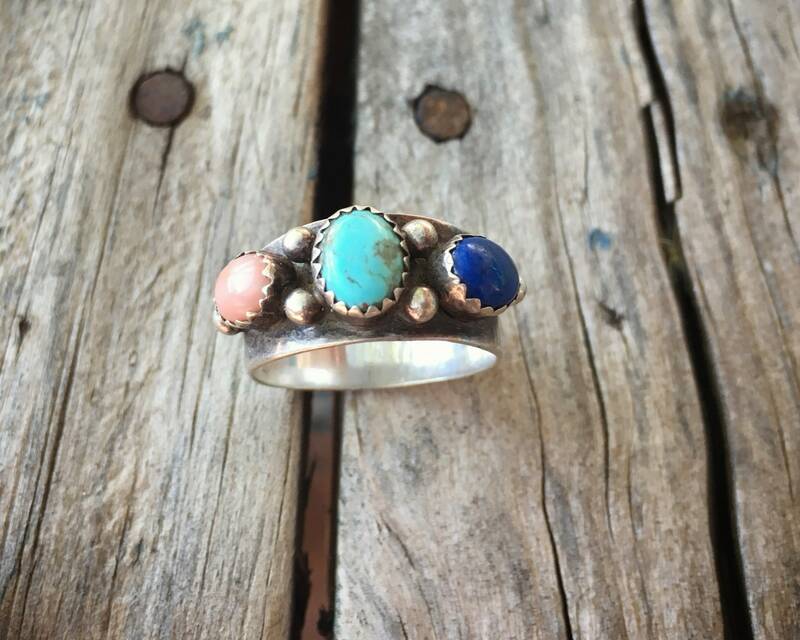 This ring is a simple silver band with three stones: turquoise in the center, with pink Mother of Pearl on one side and lapis lazuli on the other. 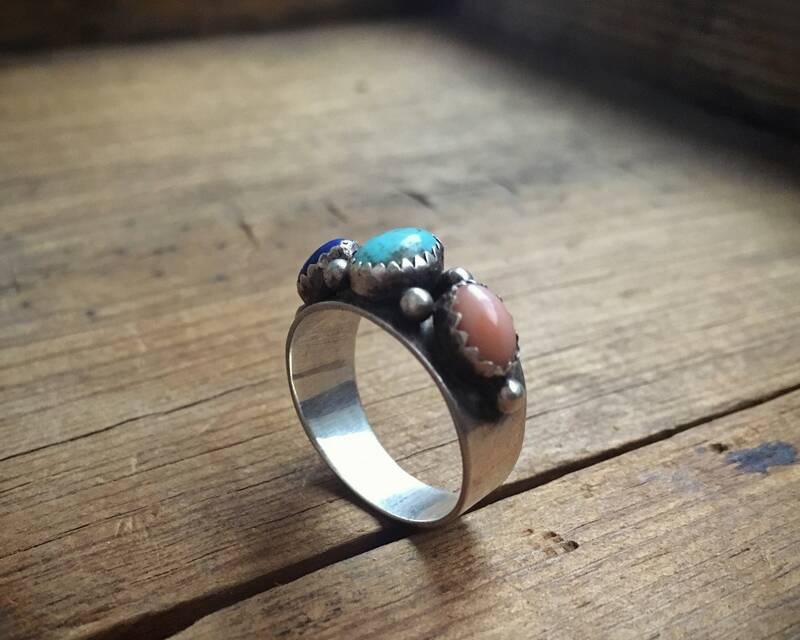 In between are sterling silver raindrops. 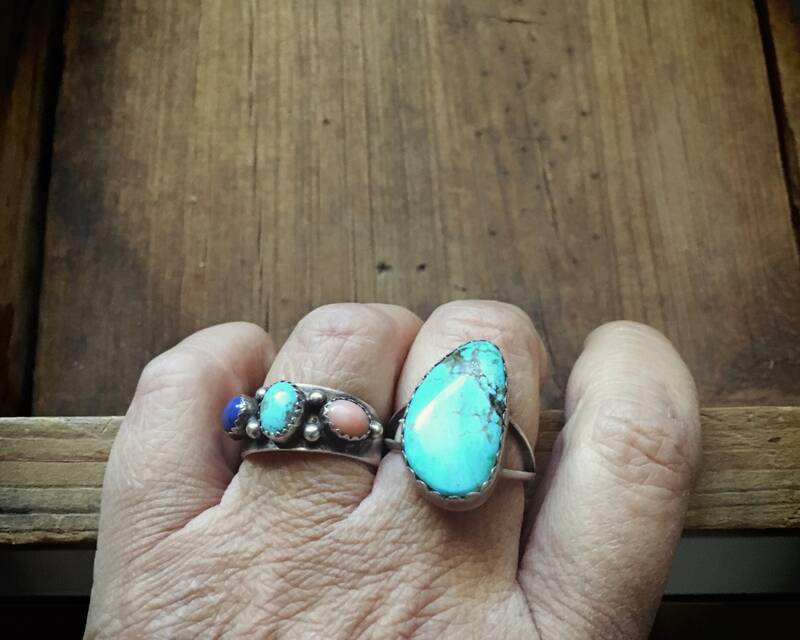 The ring carries the hallmark CP, which could be for non-native silversmith Carmelio (sometimes spelled Carmello) "Pat" Patania, brother of famous silversmith Frank Patania Sr. 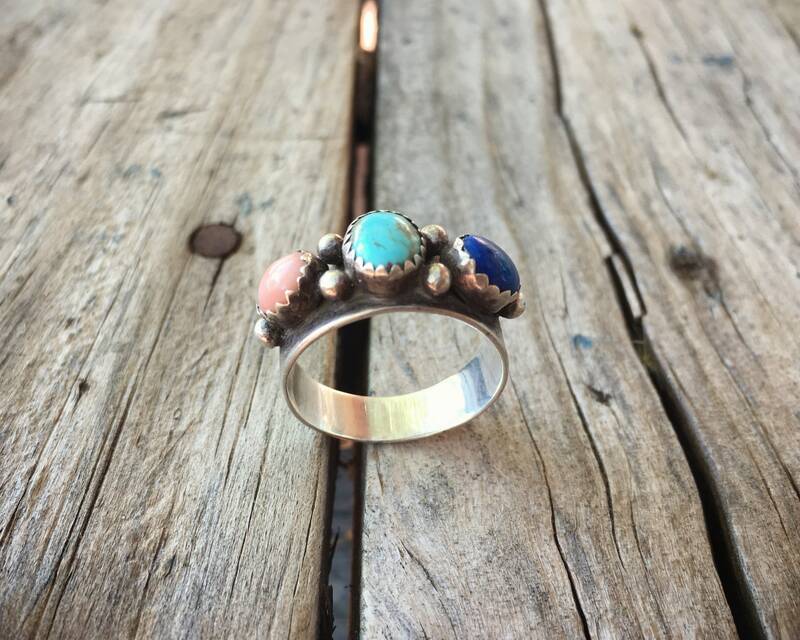 The Patanias came to the Southwest in the 1920s and opened Thunderbird Shop in Santa Fe. 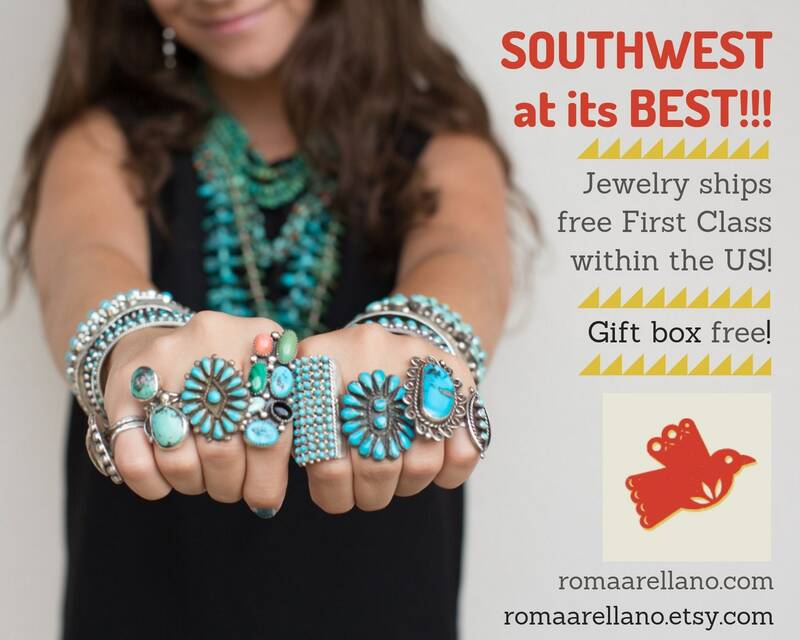 The Patania family of silversmiths is renowned in the Southwest. 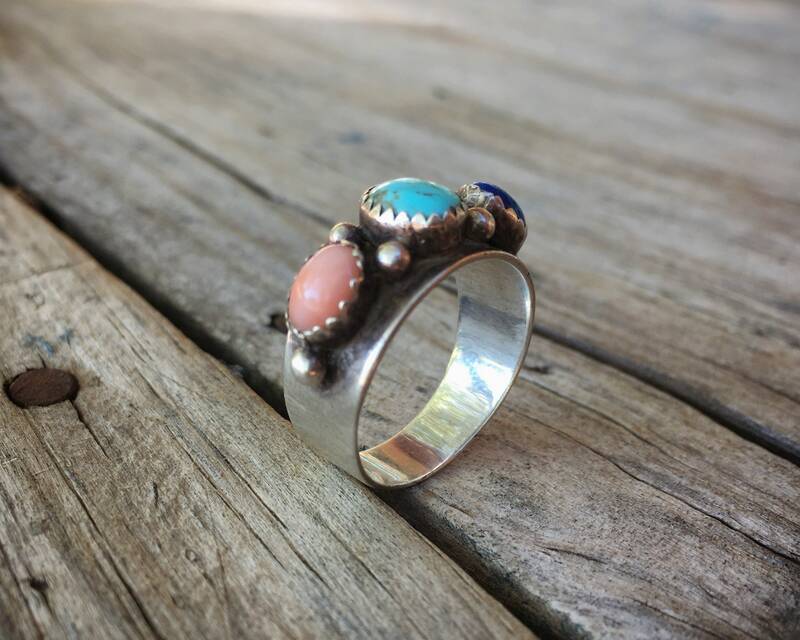 The ring is Size 9, and the band measures 3/8" at the widest point. 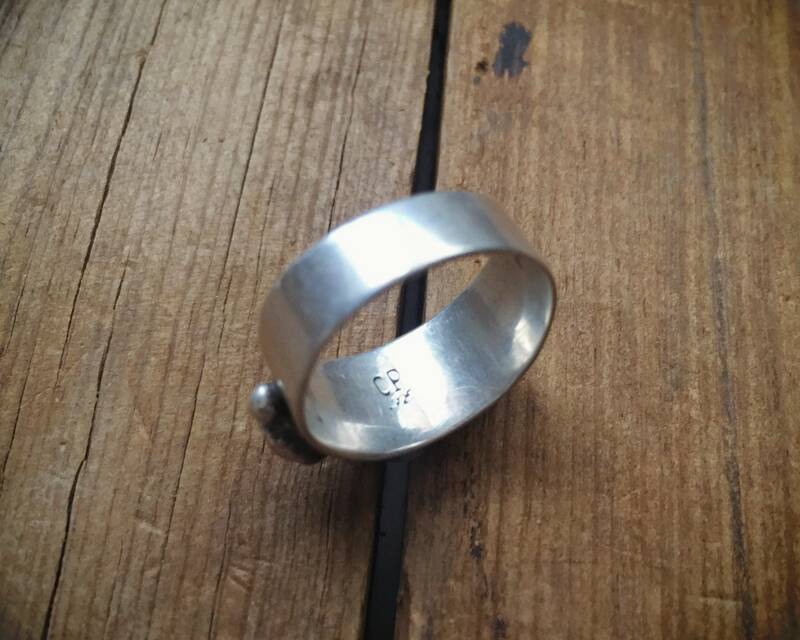 Some scratches in the silver. 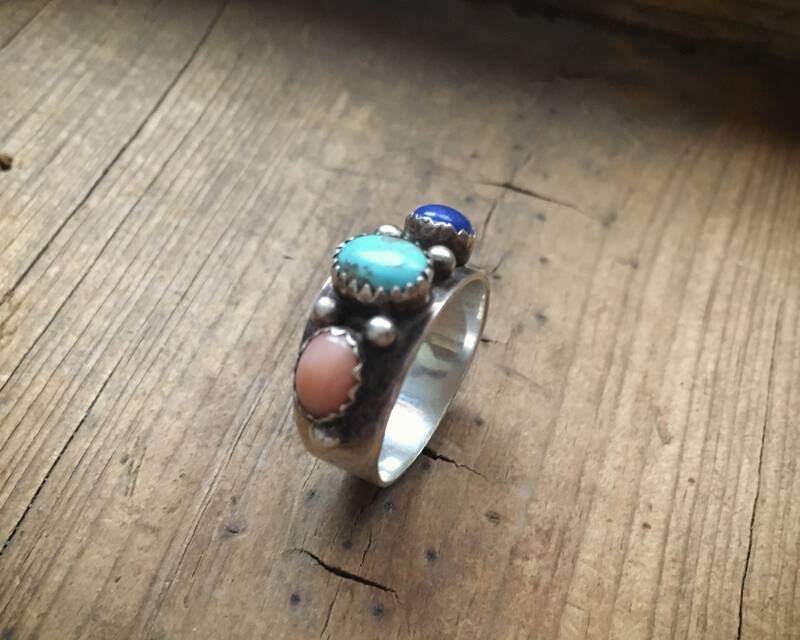 Destined to become your everyday ring.